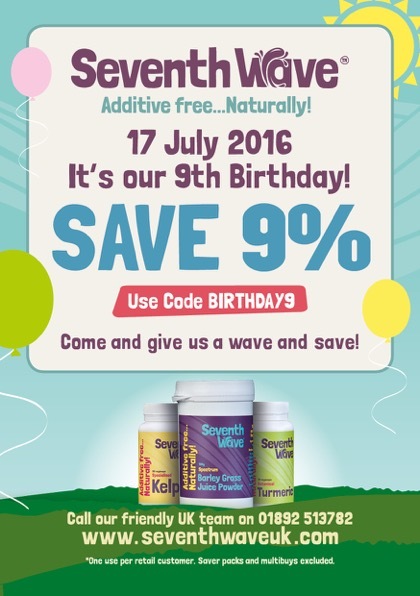 9 years of making waves for health and delivering 100% natural and additive free, a concept we pioneered. It is thanks to our wonderful customers that we have survived in a very tough industry, and it makes our work worthwhile to know we have so many thousands of people achieve better health naturally. Thank you to each and every one of you, and here's to another 9 years! *Please note that Multibuys, Saver packs and equipment are excluded.